Forever Nigella is a Blog Hop Link which was originally thought up by Sarah from http://www.maisoncupcake.com. Sarah has a book published at the moment which is a joy to use. It is Bake Me I’m Yours – Sweet Bitesize Bakes and is available in all good book shops. Different bloggers take it in turns to hold this monthly Nigella themed event and this month’s Forever Nigella is hosted by Urvashi from The Botanical Baker. You will remember Urvashi from Series 2 of the Great British Bake Off who created some gorgeous bakes on the programme. The idea of Forever Nigella is that each month there is a theme. You bake or make one of Nigella’s recipes either from one of her books or a recipe which is published online but you mustn’t repeat the recipe word for word because of copyright. So what did I choose for this month’s theme of Nostalgia? Well, this was a difficult one for me. Lots of Nigella’s recipes conjure up nostalgic feelings for me and it was a difficult decision to choose just one recipe. 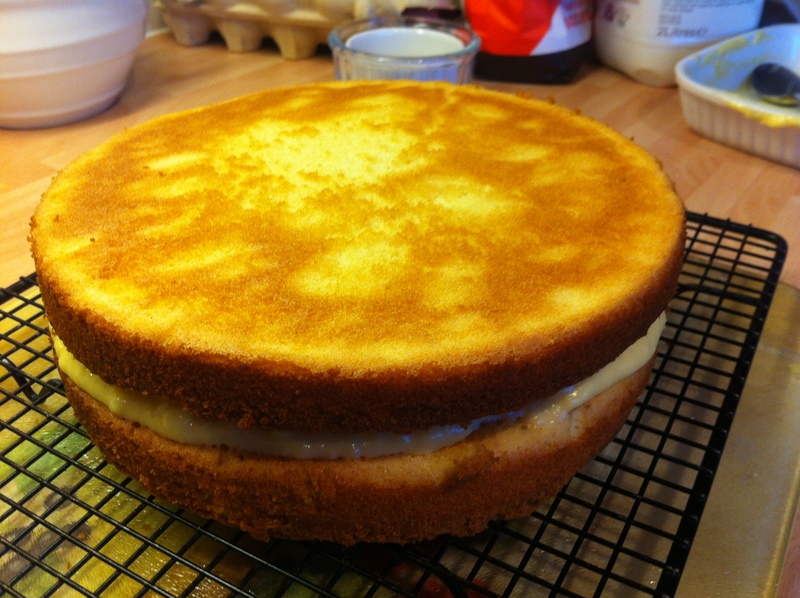 In the end I plumped for Boston Cream Pie, one of the variations Nigella lists on her Victoria Sponge recipe in her How To Be A Domestic Goddess book. 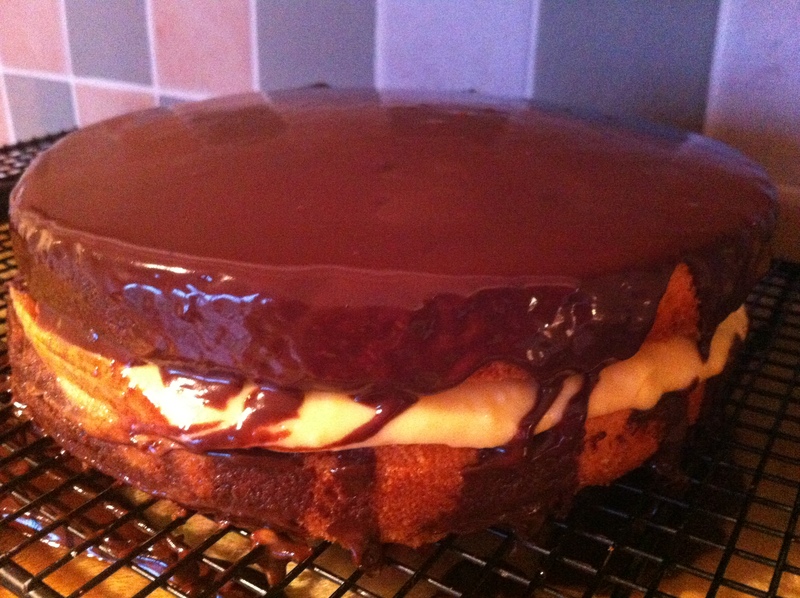 Boston Cream Pie from Nigella’s recipe featured on page 21-22 of How To Be A Domestic Goddess. Why Boston Cream Pie? Well nearly 5 years ago I had the opportunity to go to Boston with my hubby for a few days away. It was a very special trip for us as it was the first time we had ever been to the USA and we had always wanted to go to Boston. My hubby had been on a fear of flying course and I am a nervous flyer so it was a big thing for us. We had managed flights to Europe ok on family holidays and couple breaks but this was the first time we were going long-haul. It was a brilliant experience for us, we enjoyed ourselves even though we missed our two children who were 10 and 8 at the time. They did have a lovely holiday with their grandma though and we were so excited when we got back to see them! 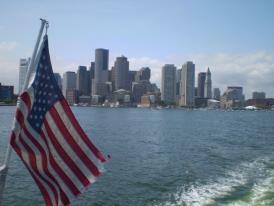 The Boston Skyline as seen from a catamaran on the way to Salen. 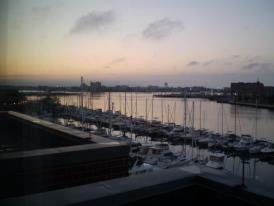 This was our view from our hotel bedroom. Completely out of sync, we went to sleep at 8pm straignt after dinner, woke at 3am and couldn’t get back to sleep again. So we watched the sunrise! As Nigella says in her recipe introduction Boston Cream Pie was invented at the Parker House Hotel in Boston by the pastry chef there at the time in about 1850. He had had the idea of adding a chocolate glaze to the top of what was originally a Boston Pie which was a custard layer cake. Why it is referred to as a pie and where the cream comes from in the title, I don’t know. 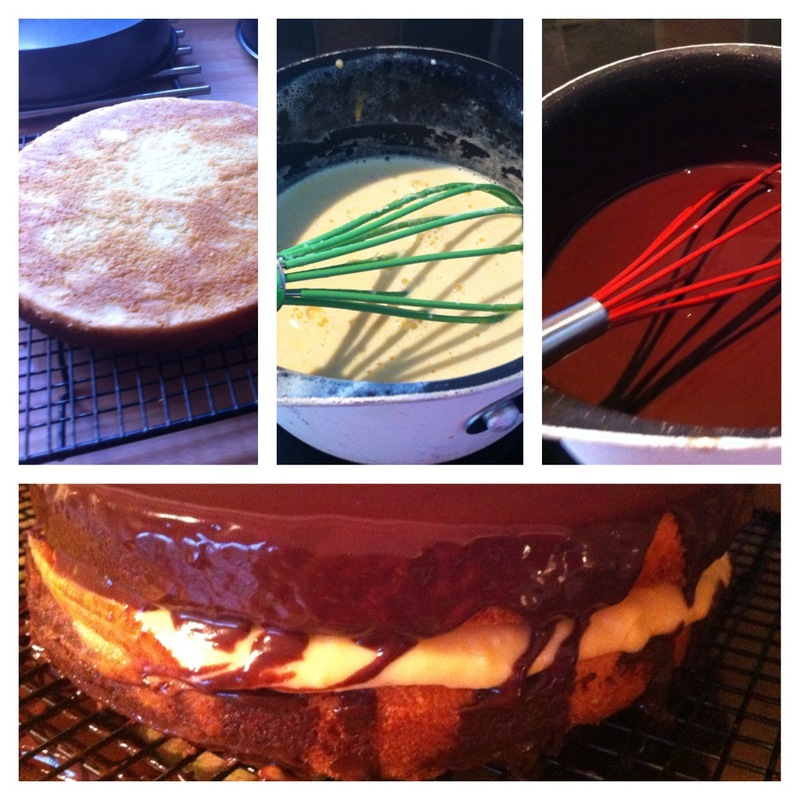 The custard and the chocolate icing contains cream though. We did not get to try the famous Boston Cream Pie although the hotel was pointed out to us as we went on a special tour in converted streetcars around the city, I think from what I remember was that we had had lunch in the Cheers Bar and I was full up of burgers and ice cream already! So, remembering I had the recipe somewhere back at home I promised my hubby I would make it for him. 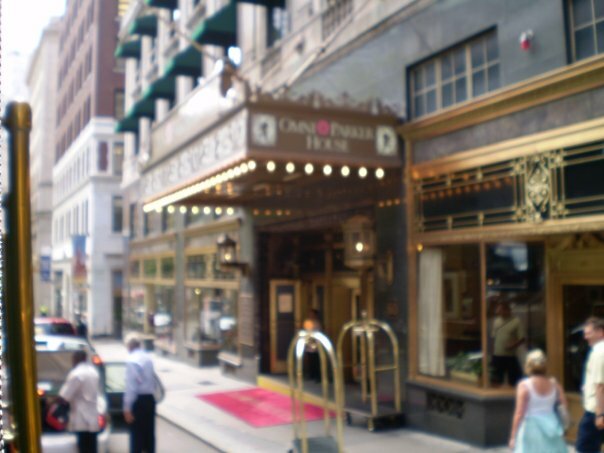 This is the Parker House Hotel in Boston where the Boston Cream Pie was invented. Believe it or not this will be the third time I have made this cake and both previous times I wasn’t impressed by my efforts. However, I was hoping third time lucky. I decided to make the cake and take it into work to share with my work colleagues. 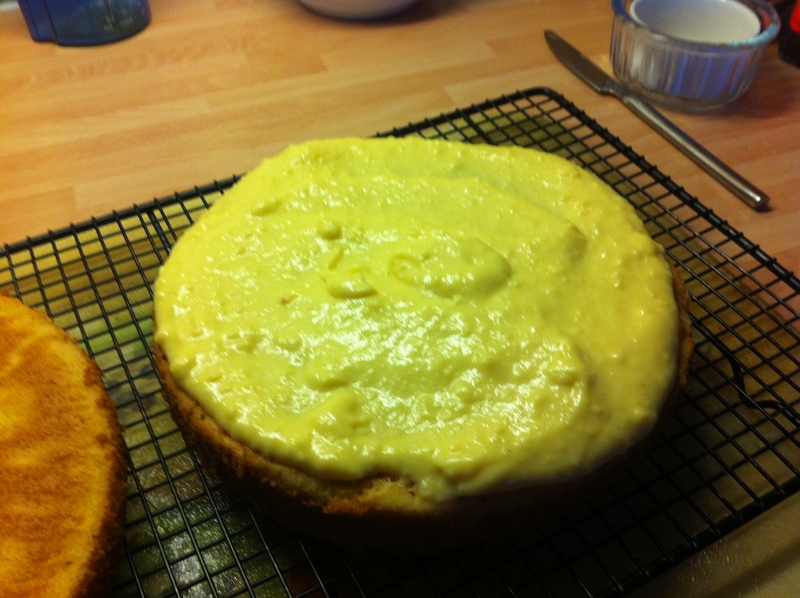 It went down well but it wasn’t very professional looking! 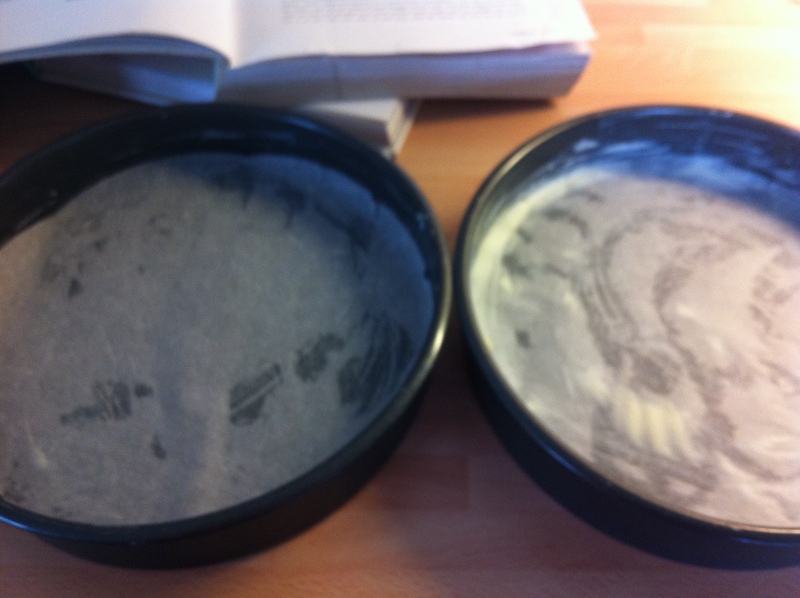 My two 9″ sandwich tins were greased and lined. 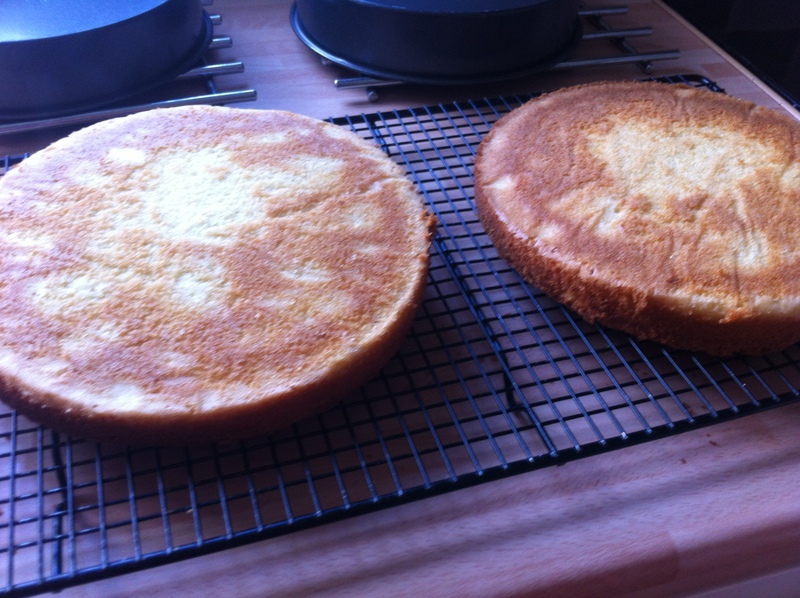 The sponge mixture (like a Victoria Sponge) was spooned into the two tins equally. 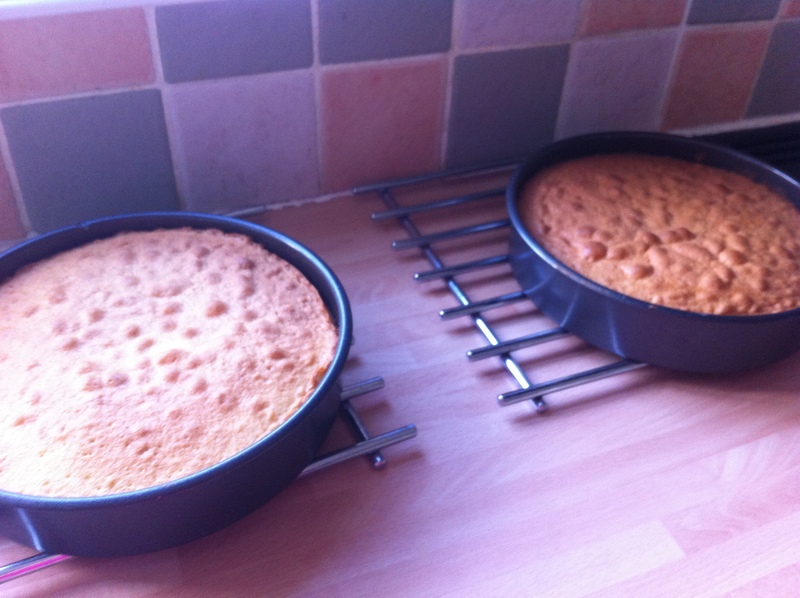 The cooked sponges straight out of the oven. Out on a wire rack to completely cool down. 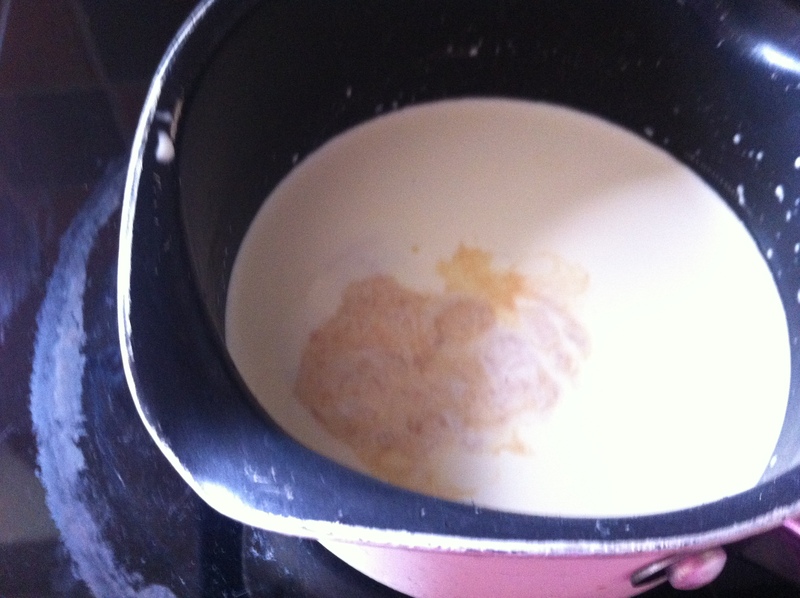 Heating cream, milk and vanilla extract to start making the creme patissier. 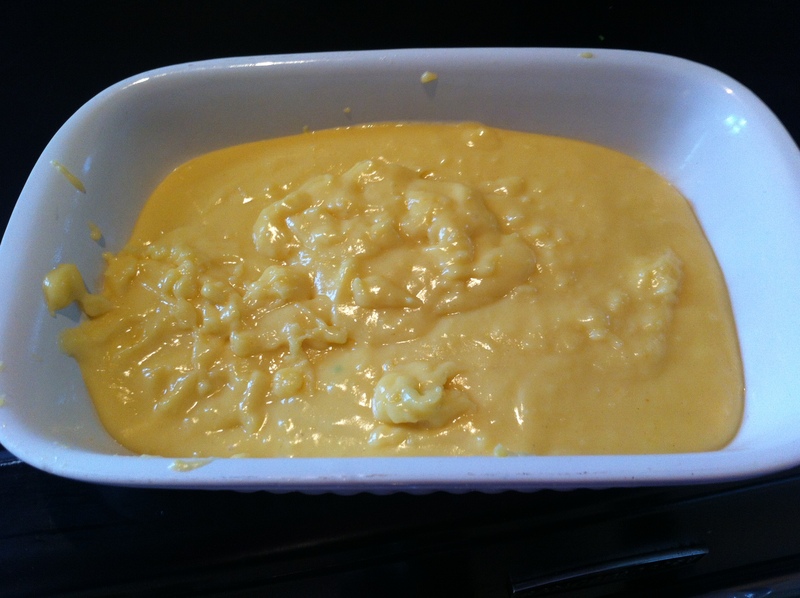 The creme patissier setting in a dish, still a bit lumpy and runny! 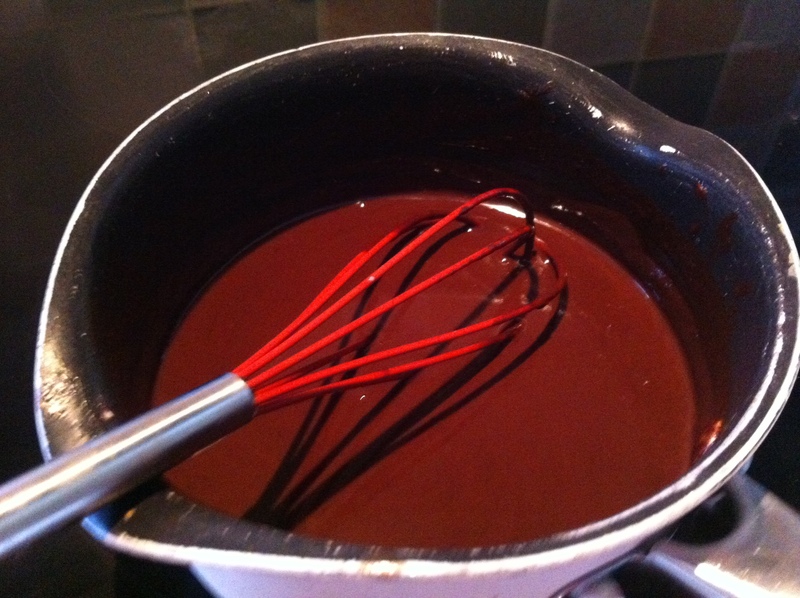 Making the chocolate ganache. Heating up butter and milk (a bit runny) as ran out of cream! 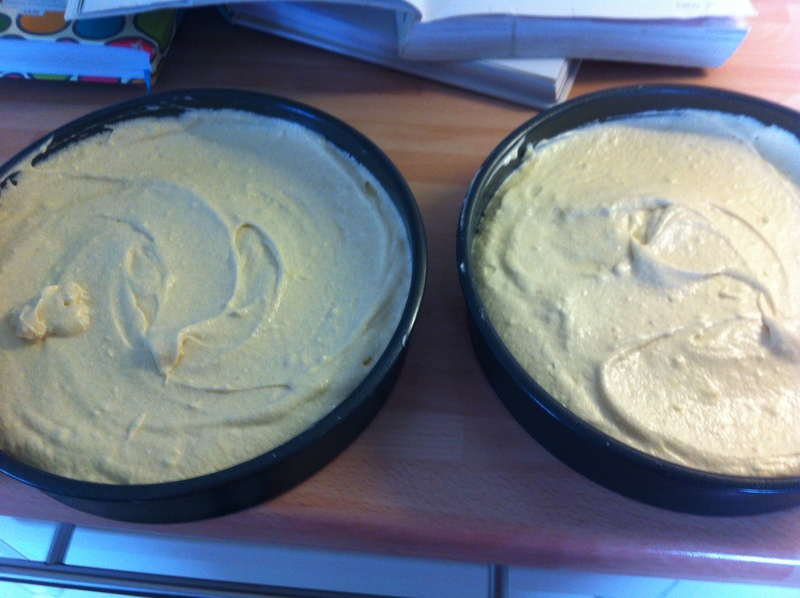 Spreading the creme patissier on the top of one of the layers. The top layer is added. The ganache is spread on the top. It was far too runny but set nicely after about an hour. 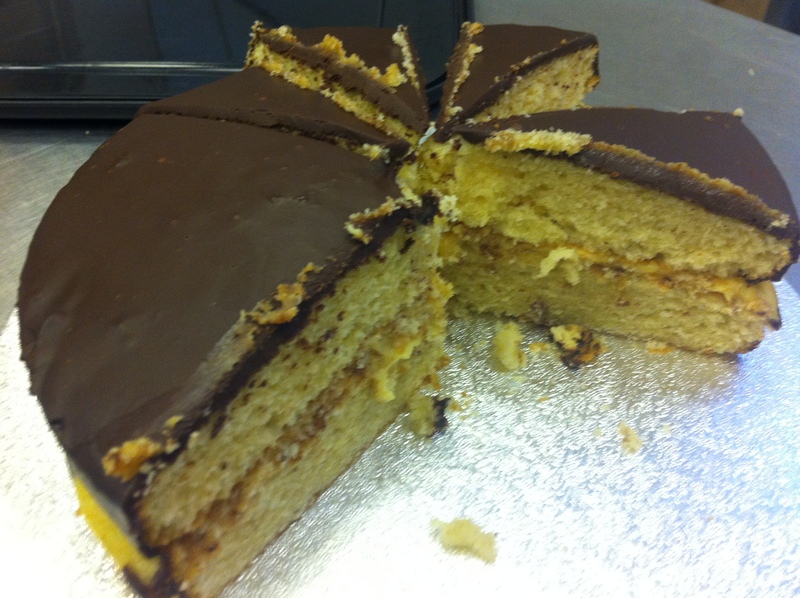 The cake cut up at work where my colleagues enjoyed a slice with their morning cuppa. Happy Baking! 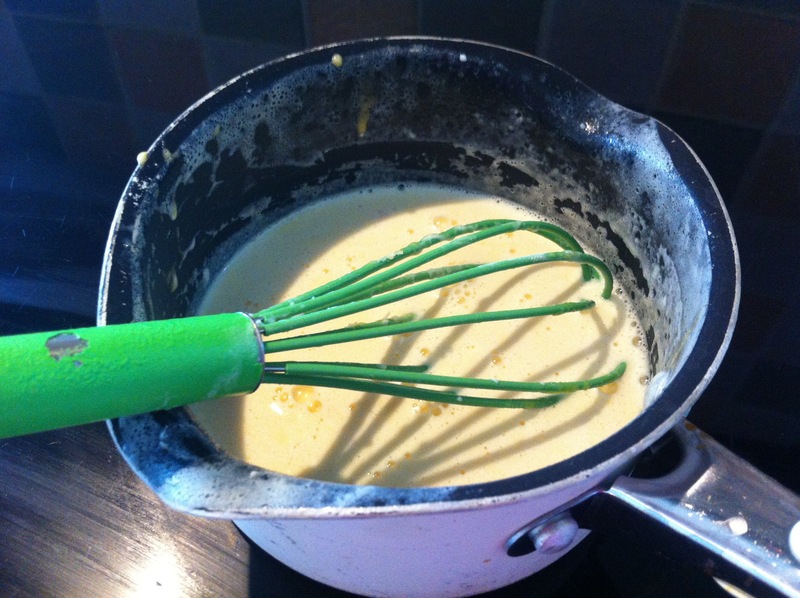 Hope you enjoy reading this and the other ForeverNigella themed blog posts. Next Post Clandestine Cake Club Cookbook Book Launch at Waterstones, Leeds- February 19th 2013. It looks lovely- I’ve been tempted by this many times but never actually made it . I think you’ve convinced me to give it a go ! That looks SO good! I hope you will be joining us for this month’s Forever Nigella.